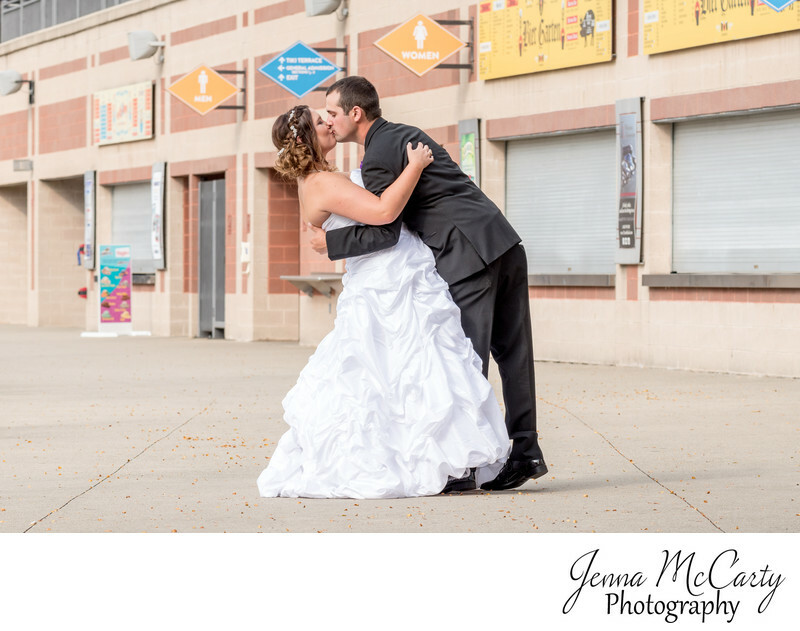 Why should you choose Jenna McCarty Photography for your wedding? 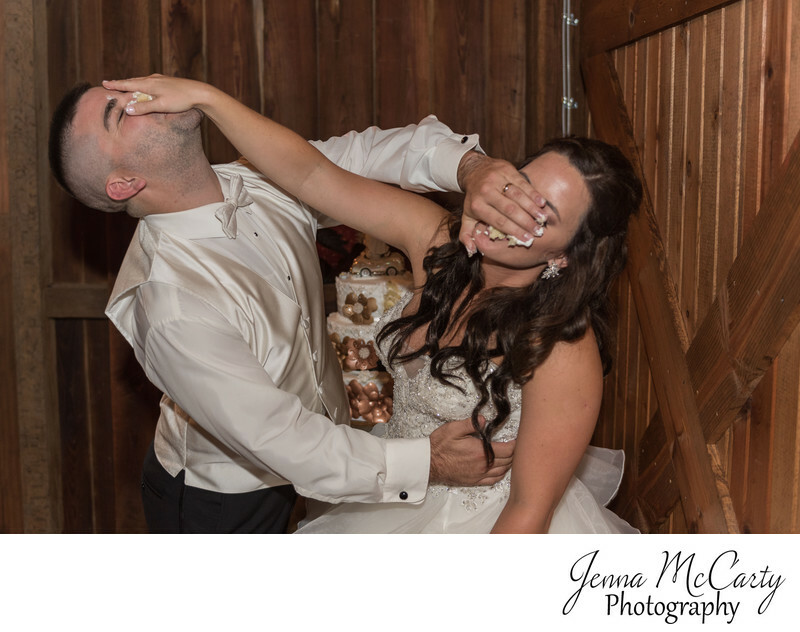 Your wedding day can be stressful enough... why should your photos be stressful too? We want your wedding photos to be as stress-free as possible. How do we do that? I'm glad you asked... As wedding photographers and people who have planned and have been in several weddings, we understand how the day should flow. From helping you set your timeline to keeping you on track on your wedding day, our goal is help you keep your wedding day running smoothly. Besides helping your day to run smoothly, we also take time to get to know you before your wedding day. We want you to feel comfortable in front of our cameras. Believe me when I say that getting in front of a camera can be so awkward... even we struggle with it (what photographer doesn't), but we want you to feel comfortable around us. When you are comfortable around us, your photos will look amazing and not awkward. The most important piece of advice that I can give you is to be yourself. Yes, we have to get the posed photographs but the ones where you feel the most comfortable and the most like yourselves are the best photos. Customer service is our number one priority. We want you to love your photos just as much as we do, but we also want to love your experience. From the initial meeting to after your wedding day has come and gone, we want you to enjoy your time with us. One way that we ensure that your experience with us is enjoyable is by being professional. We always have back up equipment at any photo session. We spend countless hours keeping current with wedding trends. We also take the time to get to know you so your wedding photos will be as unique as you are. Photography is our passion. Even when we are not capturing a wedding, we are always finding something to photograph (even if it is just our cats). We create beautiful photos because it is what we love. We bring that same energy and excitement to your special day because we want to create beautiful, timeless photos for you and your families. Our style is a combination traditional photography and photojournalism. We specialize in posed candids, where we put you into a pose and give you a scenario that will bring out your emotions. Several photographers specialize in dramatic portraits… that’s not really us. I love color. I love using color. My favorite photos are lively, fun and capture real emotions. I want to book, what should I do next? Contact me as soon as possible to see if I’m still available for your date. If I’m still available, I will contact you to set up a date and time to either meet in person or chat on the phone to talk about your wedding. To book your date, I require a signed contract and a 50% retainer to officially reserve your date. Do we need to meet first? Not necessarily, but we need to at least talk on the phone so we can see if I’m a good fit for your wedding day. The worst thing that can happen is you don’t get along with your photographer. I mean, they are essentially your wedding day shadow. You need to make sure that you like who your photographer is as a person. They are responsible for bringing out your emotions and if you don’t get along with them, it is going to result in lifeless photos. However, I know that you’re going to love me… so that’s not a concern. To reserve your date, we require a 50% deposit of your total package. I accept checks and credit cards via PayPal. What happens if another bride wants my date before I’ve had the chance to book? This happens more than what I would like to admit. I’m always amazed by the amount of people who contact us for the same wedding date. In this case, if you contacted me first, I will give you first dibs, however, your date is not booked until you have signed a contract and have paid a deposit. If you decide not to book us within 48 hours after being notified that another couple sincerely wants your date, we will release your date to the other couple. Do you travel? How much does it cost? How far will you travel? I love to travel! However, the cost of travelling varies depending on when it is and how far I have to go. My normal stomping grounds are within 90 minutes of Warren, Ohio, which includes Cleveland, Canton, Pittsburgh and Erie, but I will travel at an additional cost. It is my dream to photograph weddings and couples in Europe... if you want me to travel, let's make it happen. Don’t let my location keep you from booking us. If you love our work, definitely contact us. It really depends on your wedding day Every wedding is unique. We normally recommend 7-10 hours. The typical bride chooses 8 hours, but again it depends on your wedding day. 1) Do you want to have getting ready photos? 2) How long will your ceremony be? 3) Will you do a receiving line? (if so, add 15-30 minutes depending on your guest list). 4) How many family groupings do you want? Keep in mind, we recommend 4 minutes per family grouping. 5) How long does it take to travel from your ceremony to your in between photo location? How many photos do you want to take in between ceremony and reception? (I normally recommend 90-120 minutes in between for family, bridal party, and photos of the bride and groom together). 6) How many hours of coverage do you want for your reception? (I normally recommend not having us cover the last hour, unless you are doing a grand exit from the reception). Our top three packages include a complimentary engagement session. I love engagement sessions. It is a time for us to get to know you, your personalities, and how you interact with one another. We require a 50% deposit and the remainder is due 30 days before your wedding. If I need to cancel my wedding, is the retainer refundable? No, the deposit is nonrefundable. Please refer to your contract to learn more about cancelling your wedding. Now. ASAP. Every day we are contacted by brides and we fill up very quickly for fall weddings. After you book your venues and have selected your date, please contact us to book. We want to tell your love story, but we can’t do that if we are already booked. Do you offer discounts for off-season or non-Saturday weddings? No, our costs do not change, however, we do offer specials throughout the year. Contact us for more details. 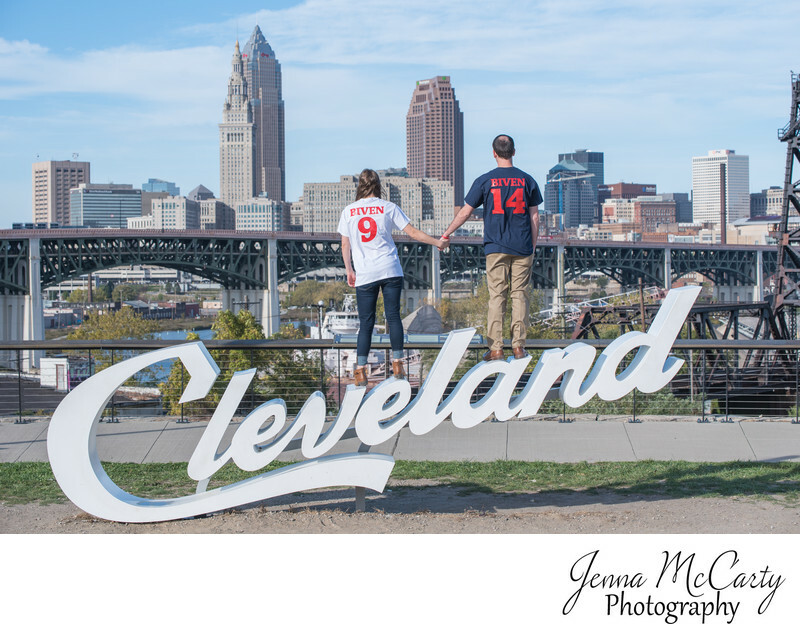 Does Jenna McCarty photograph all weddings? Yes, unless she is out of the country and you agree to let Andrew photograph your wedding (which has happened)... but that’s a rare case. I will be there unless I am physically unable to be (i.e. in the hospital or dead…) but that’s morbid. If for some horrible reason, I cannot be there, my husband, Andrew will serve as your first shooter and he will find a replacement second shooter. But that’s the worst case scenario. I will be there. My amazing husband Andrew. I love working with him. He is my favorite person on this planet and I am truly blessed that we can do this together. A lot of people always joke with me that they could not work with their spouse, but I honestly could not imagine not working with him. What is the difference between an assistant and a second photographer? My à la carte options all include an assistant. An assistant is different than a second photographer. They only carry gear and assist me on the day. They do not take photographs. A second photographer will take photos, set up lighting, and carry gear. I don’t like to get my photo taken so I’m afraid my photos will look stiff and awkward, can you help me? Everyone (except models) feels awkward in front of the camera. 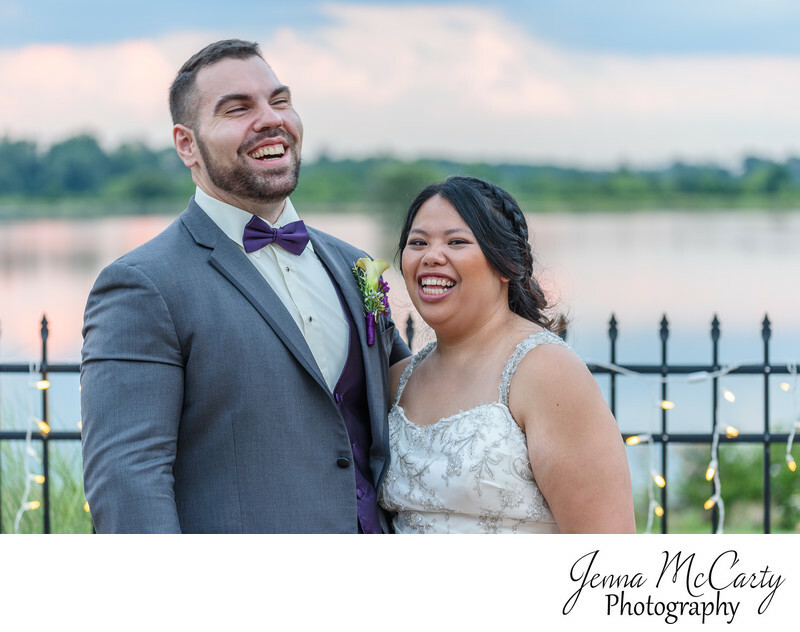 That is why we specialize in posed candids, we will put you in a pose and then give you a prompt that will bring out the natural emotions in you. Our goal is give you a fun experience. Believe me I know that being in front of the camera can be awkward, but we try to make it as fun as possible for you. I don’t want a bunch of posed photos, is that okay? Please and yes. Who wants a bunch of traditional posed photos? I mean, we have to have some posed photos (i.e. family photos, bridal party, and a few of you guys), but we want you to have a fun experience and no one has fun when they are staring at a camera the entire time. Will our images be all in color or will we receive some black and white images? I love color. However, some photos just need to be in black and white. The emotion and moment of the photo is better served as black and white. If it needs to be black and white, I will only deliver the photo in black and white. No, we are photographers not videographers. We are masters of our craft not jacks of all trades. However, I can always refer you to some of the best videographers in the area. Do you edit all our photos? Yes. All your photos will be edited. I always try to get your photo correct in camera, but all photos need a bit of tweaking, including skin softening and blemish removal. I actually really enjoy editing photos. It’s relaxing. Can we get the unedited, raw files? No. That would be like asking your caterer to give you the raw ingredients from your meal so you can go home and cook it yourself. That’s weird. You are hiring me for my ability as a photographer from image capture to image delivery. Will my photos be protected? How are my photos stored? Each of our cameras have two camera slots so your photos are automatically backed up onto a second memory card (just in case). After your wedding, your photos are automatically backed up and stored onto my computer where they are immediately backed up onto an external hard drive. From there, the memory cards are stored and will not be used again until your photos have been delivered. After I have delivered your photos via an online gallery, your photos will be stored online for up to a year, but will be backed up on external hard drives forever. How will my photos be delivered? How many photos will I get? After your wedding, you will receive an online gallery and a download code to download your photos. The total number of photos really depends on your day. On average, I deliver 50-100 photos an hour, but it depends on your day. For instance, if no one is dancing at your reception, I obviously cannot take photos of people dancing and you don’t want 50 photos of the same people dancing. The day after your wedding, you will receive a sneak peak of your photos on facebook. Your entire catalog will be available between 4-8 weeks after your wedding. Normally, your photos will be completed between 4-5 weeks, but in case of the worst case scenario (i.e. hospitalization), the contract states 4-8 weeks. Will our online gallery have watermarks on them? No, that’s weird. Your online gallery will not be watermarked. The only time that I watermark photos is for social media. Will we get a copyright release? Yes and no. You will get a print release which states that you have the rights to print and reproduce the images wherever you want. I will retain the copyrights so I can use them for marketing. We want to take photos in a certain location, do you know if we need a permit? There are several locations that need a permit, however, I do not know all of them (I’m working on it). If I am not sure if your location needs a permit, I will find out. If it does need a permit, you will be responsible for acquiring it and paying the permit fee, but I will help as much as I can. Should I order an album? I always tell my brides, your album is not for you. I mean it is for you, but it’s for your future kids and grandkids, when you are no longer here. I hate to be morbid, but it’s true. Your album is your heirloom that you will leave for your kids. They will cherish your album, so yes you should. How are images for our album selected? You select the images. :) It’s your album. How long does it take to receive our album? Once you’ve received your gallery, there will be a favorites list already created for you where you will select your images. After you’ve selected your images, Jenna will take a few weeks to create your album. From there, she will send you a proof of your album for you to review. Once you’ve approved of the album, Jenna will order it. The amount of time it takes to receive your album, depends on the album company. The whole process takes on average 6-12 weeks from the time you select your images. What if I want to order extra prints or order a bigger album? If you want to order prints, your gallery is linked to a professional printing company by ProDPI from which you can buy whatever prints you want. If you would like a bigger album, please contact Jenna for a quote. Can we provide you with a shot list? You could but trust us to capture your day. If there are specific photos that you want that are unique, please let us know, but for the most part, we will capture everything that we can. We will ask for a family group list so we don’t miss anyone. Can our family and friends take photos with their cameras? Of course. Their memories are precious too, but if they are interfering with our work or are distracting people, we will say something to you. If we work for more than 6 hours, we would like to be fed. It does not need to be what you feed everyone else, but a fed Jenna equals a not hangry Jenna and a hangry Jenna cannot give you 100%. If you do not feed us, we will leave briefly during the reception to get food. Not unless you want to pay us extra. We do not need to be there. We will always show up early enough to scout the ceremony location and speak with your officiant. During your reception, we normally will prep your wedding day by cleaning and packing our gear and relaxing a bit. Will you scout our venue before our wedding? Not necessary. Sometimes I will check out outdoor locations, but I trust you to lead us to the beautiful locations. If you would like me to do a site visit, I can do so for a small fee. I have worked with some amazing vendors over the years. If you want some recommendations, just ask. I would love to!!! I am honored to photograph anyone’s wedding day. Love is love. How much equipment do you carry? A lot… I carry two cameras on me all day (up until the reception), so does Andrew. We have backup equipment for all our equipment. We each have a suitcase full of equipment plus a lighting kit. We use mostly Nikon gear with a few Tamron lenses. Yes, we have liability and equipment insurance. I can and have done all types of photography, but weddings and engagements are my specialty. I also love boudoir.